Zia Anger’s short film, which appeared last year at Locarno, New Directors/New Films, and AFI Fest, uses conceptual daring and an uncommon wit to paint a kaleidoscopic portrait of a young woman in trouble. 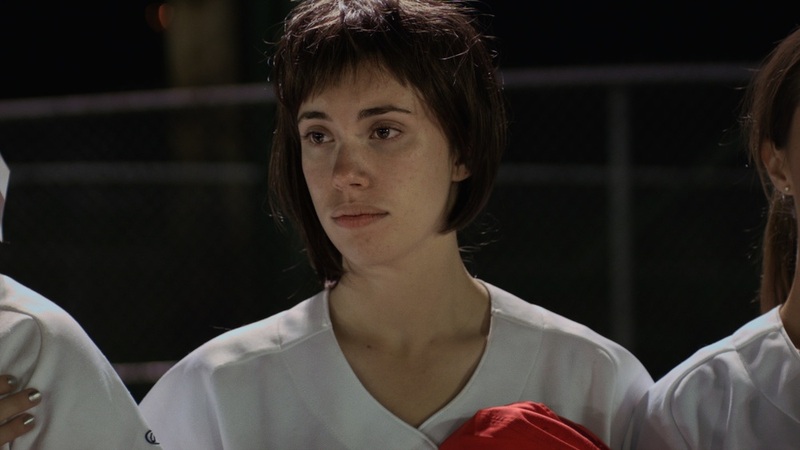 In a move that calls back to Luis Bunuel’s That Obscure Object of Desire, and Todd Solondz’s Palindromes, Anger enlists a series of five women to don the auburn wig and softball jersey of Joan, a college student and undiagnosed epileptic. Though she doesn’t know it, the onset of Joan’s night is also the beginning of a cycle that will culminate in a seizure, and as each new phase ticks over, the moment draws nearer and a new actor gets her at-bat as Joan. I REMEMBER NOTHING pairs its abstract glimpses of Joan’s fractured senses (shot with a good deal of verve by Miranda Rhyne) with semi-surreal scenes of her daily life. Through it all, Joan seems to exhibit various stages of youthful vacancy--sleeping in class, erotically distracted in the outfield, getting high in the van. On the brink of unconsciousness, the version of Joan played by Lola Kirke (Mistress America, Mozart in the Jungle) runs afoul of a shadowy Frank Booth type played by Michael Cavadias, who triples as a smarmy T.A. and a female exchange student of mysterious nationality. Even as she burrows deep into the stuff of Very Serious Films--illness and alienation, multiple identities and altered realities--Anger maintains an incongruous sense of fun. She lingers with obvious mirth over a classful of student’s half-calculated responses to a poem, or a loopy rendition of “The Star-Spangled Banner.” More than just garden-variety irreverence, there’s a healthy defiance of self-seriousness at the heart of this film that gives it an unusual combination of severity and charm. 19 minutes. Directed by Zia Anger.